The Sykes-Picot remade the Middle East for British and French control. A century later, their legacy is a disaster. Take a look at a map of the Middle East. One hundred years ago, on May 16, 1916, Sir Tatton Benvenuto Mark Sykes and François Marie Denis Georges-Picot finished drawing it up. They were staking British and French claims to the ruins of the Ottoman Empire in advance of the end of the First World I, assuming they would be the victors with the right to divide the spoils. The resulting Sykes-Picot Agreement, which included Tsarist Russia, was a secret—until it was exposed by the Bolsheviks after the 1917 Revolution. The Sykes-Picot deal was one of the last European colonial projects of the century. 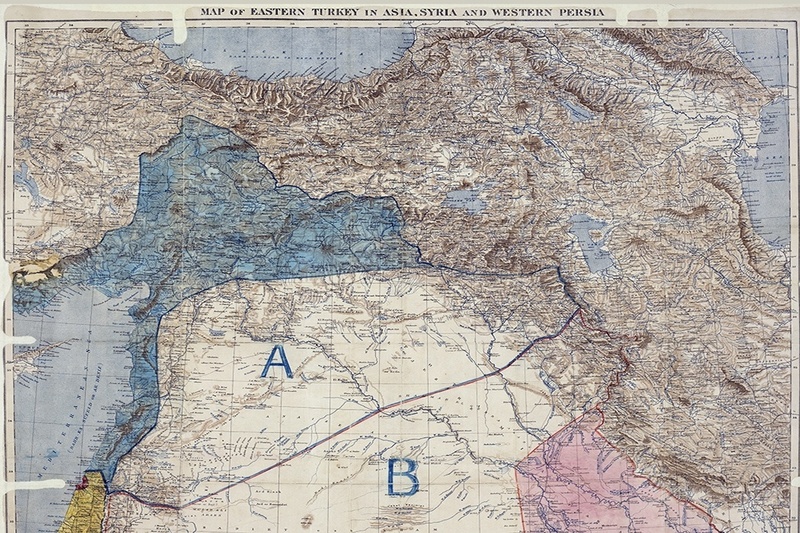 Sykes and Picot divided the Near East, as it was then known to Europeans, into British and French spheres of influence, with enough for the Russians to keep them happy. 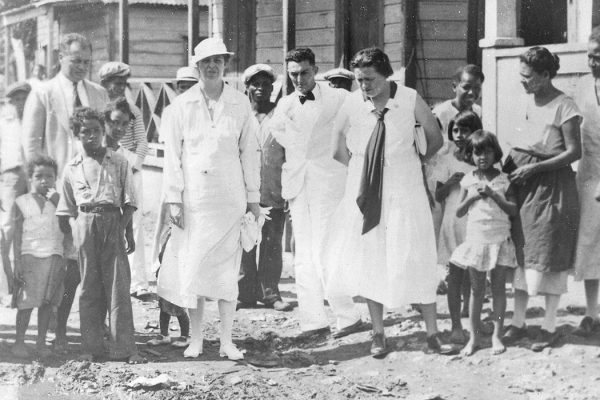 This made their deal one of the last European colonial projects of the century whose second half saw the sometimes violent end of such missions. Out of Sykes-Picot came the outlines—indeed even some of the still-existing borders—of Palestine (later Israel), Syria, Lebanon, Iraq, Iraq, Jordan, and Saudi Arabia. Rashid I. Khalidi argues that the agreement was prefigured by the already existing economic partition of the Ottoman Arab provinces. The doddering Ottoman Empire had been described as “the sick man of Europe” since the 1850s. By the First World War, the Empire was propped up by European investments. An alliance with the Central Powers proved to be the old Empire’s final undoing, leading to its splintering at the end of the war. According to Khalidi, Sykes and Picot assumed they were formalizing the pre-existing European financial control of the region by inaugurating a new era of more direct political control. Edward Peter Fitzgerald elucidates the competing British and French interests involved in the Levant (yet another European name for the region). The countries were allies against Germany, Austria, and the Ottomans, but they also had their own interests and colonial agendas. Fitzgerald explains why France first claimed Mosul, with its oil (then all potential), only to cede it to Britain soon after the war ended in 1918: the French were initially thinking less about oil in Mosul than their long-time interests in what became Lebanon and Syria. So what about the people living where Sykes and Picot drew their lines in the sand? What did they want? That they were largely ignored has been the source of much misery since. Sykes-Picot isn’t celebrated in Britain or France today, and many Americas may not know about it. But it has long been a rallying cry for Arab nationalists. And ISIS/ISIL, the so-called Islamic State, has vowed that one of its aims is reversing the effects of Sykes-Picot in their entirety. Woodrow Wilson called World War I the war to end all war. But as it turned out, decisions made during the conflict and in the peace talks afterwards set the stage for both World War II and a century of chaos and war in the Middle East. Sportswriting by women is not a new phenomenon. Lorena Hickok was a forerunner for women sportswriters, and began her career on the college football beat.